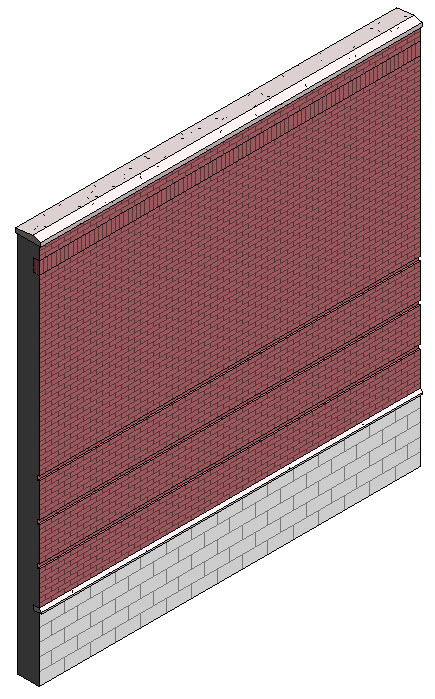 How many times have you looked at a wall type you are using in Revit and said to yourself “that is so cool. I wish I could make one of those”? Or perhaps “oooo, that wall is nearly like the wall I want to use in my project, but not quite right”? Well let’s look through the steps you might take to make that wall of your dreams. “In-Place Families”: elements you can edit while working within your Revit project for use as one-offs; a one-of-a-kind element unique to a project. 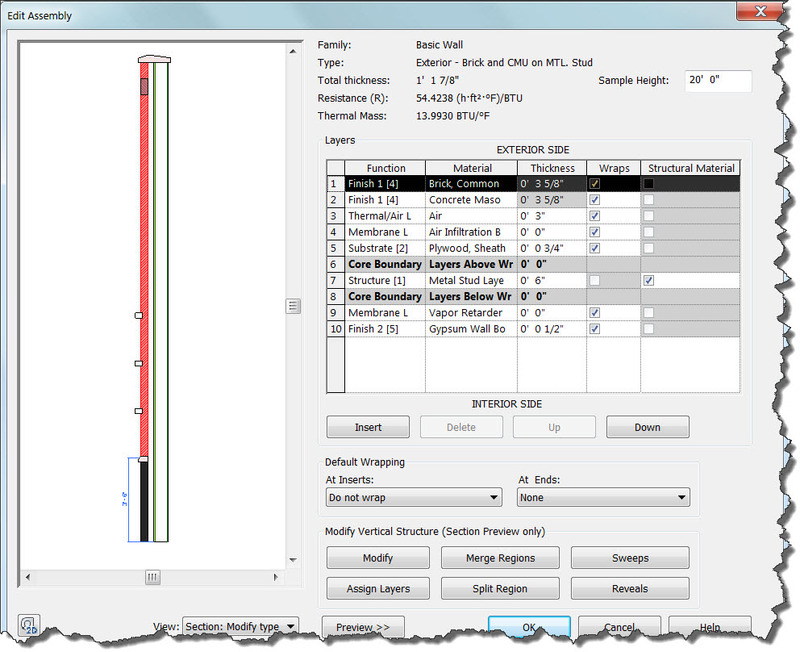 “Loadable Families”: These you can create from scratch, edit and save within Revit’s Family Editor. As the name implies, you can later load those elements into your project for reuse by you, your family and friends. “System Families”: This third variety within Revit cannot be created from scratch – probably because of its truly awesome behavior written into those families by the programming geniuses at Autodesk. I’m talking about behavior like a wall that will open up to accommodate a door and heal itself when we move that door further down the wall. But, do not despair! Even though mere mortals cannot create a wall from scratch since it is indeed one of the System Family variety, we can take a wall type Autodesk included in Revit and make all sorts of changes to it to our little heart’s desires. Layers of materials, sweeps, reveals, vertical splits between materials, etc. And then save that new wall type for our use and reuse. Let me walk you through the series of steps with this linked video, so you too can feel the awesomeness of wall creation. Alright, let’s do this! Let me know what other elements you need help learning and I will be happy to share the how-to tips to get it done. Email us or see our website. Curt joined Synergis in 2011 as a Solutions Engineer for the AEC Building side with over 20 years of industry experience and both bachelor’s and master’s degrees in Architecture as well as a BFA in Interior Design and Planning. He has software expertise in nearly all the Autodesk architectural software having spent much of his career with Autodesk as a Technical Account Manager, and prior to this working in the AEC and Utilities industries. Curt recorded webcasts in September The Business Value of BIM and BIM in the Cloud that have been highly viewed. Check them out. Good video: thanks for posting it.